Why Aren't SSDs Getting Cheaper? If you were planning on buying a super-cheap solid state drive (SSD) anytime soon, don't count on it. Memory maker OCZ introduced a refresh to its desktop SSD lineup this Thursday, with one model weighing in at a hefty $4,000. 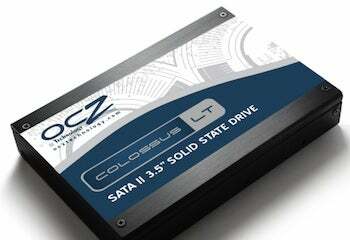 Late last year we brought you word of OCZ's $3000 SSD, but now a new, more pricier refreshed range has been revealed. The 3.5-inch Colossus LT will be available in 120GB, 250GB, 500GB, and 1TB capacities. The SSDs feature new MLC NAND flash, which offers faster performance and promises quiter operation. Beyond this, the new range of drives is expected to provide performance levels to OCZ's SSD drives introduced last year, packing read and write speeds of up-to 260MBps. OCZ has not announced a solid launch date for the refreshed range, but with the top-end 1TB model said to be coming in at such a high price of $4,000 the company can't be expecting demand to be overly great. For the masses, these are not.